Get an insight into the design process and attention to detail that every GrandManner sculpt and subsequent casting receives before being packaged and sent out to you. Since the very first sculpt more than a decade ago the emphasis has consistently been upon quality and detail. Even as the range nears 1000 models there are still many models I wish to sculpt in the coming years such as a vast variety of feature pieces that we can all enjoy on our tables. Our models are designed with your figures in mind, realistically scaled in 20mm, 28mm and 40mm scales. Walls and fences will allow rifles over them, doorways aren’t twice the height of a figure. 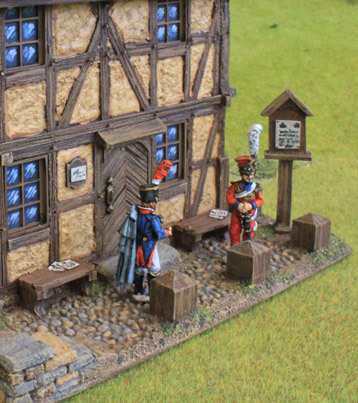 Gaps, walkways and windows are also designed to ensure your figures can be used with the terrain, not just around it. 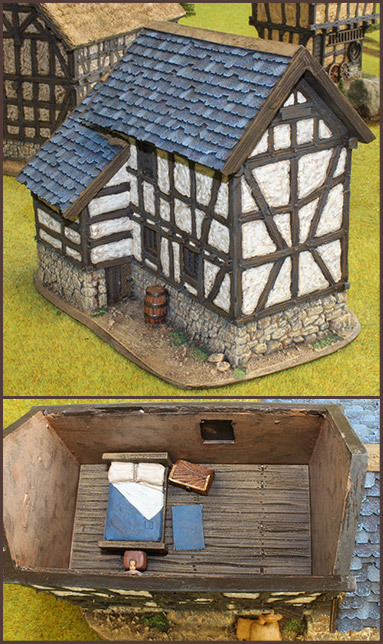 This opens up tactical elements to your table when planning a new scenario or skirmish. Each new model’s detailing is based off of existing real world structures, books and artists sketches. From the roof type to the common objects found in and near the building in its time, as much information is gathered to produce a replica. Every model gets hours of fine modelling so that the textures are defined right in the casting. Hand cut tiles, individually engraved timbers and mud/sand textures on bases no surface is left untreated. This has added benefit when painting GrandManner models as depth only needs to be highlighted, not created. 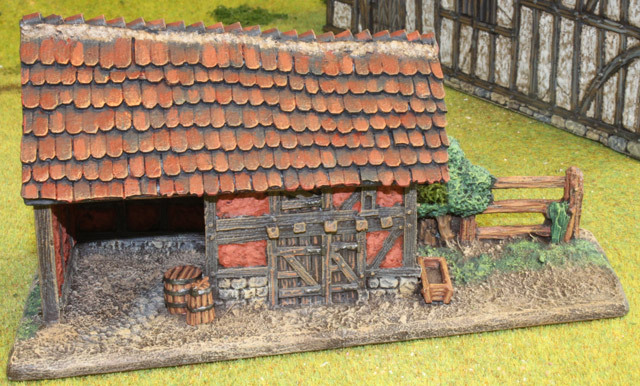 Our models have lift off roofs and lift out floors as well as tonnes of internal details. Staircases, fireplaces, tables, fire pits and beds are just some of the features you’ll find inside these models. Being able to access the inside of models enables much more interaction and usablility when playing a game or creating a display board. Very few models have areas for flash (usually just the more delicate features like signs, or very thin membranes in open windows). Each model is sanded to ensure its base is flat and roofs and floors fit correctly. Our casting process ensures that all the skin detail is reproduced flawlessly and with out bubbles. Hollow cavities are employed on larger models to keep the weight down to a minimum.